These disturbing facts are certainly true in Canada – see http://windfarmrealities.org/?p=762. Mitigation to compensate for killing Species at Risk in Ontario, Canada, is worse that that described above. It is considered by the government that setting aside a small amount of nearby land for the species within a couple of years of IWT construction, and vague research, will make up for killing endangered species. Consider the effectiveness of establishing a piece of land, after two years of compromising fledglings, which may already be occupied by a territorial species. And if it is not occupied, it may not be habitable. 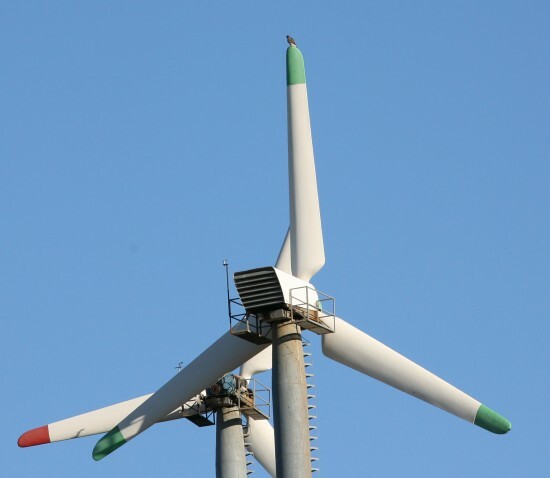 Turbines get larger and larger; mortality measures and non-defendable setbacks do not change. Eagles and other birds, as well as bats on the Lake Ontario north shore migration path are at risk, and have only the public to protect them — certainly not the governments. Not that hard to fins species that are very seldom killed by windfarms. There are no eagels! But what about birds that are in thousands…..
Impact on birds is blinded when a measurement provides for the high numbers. 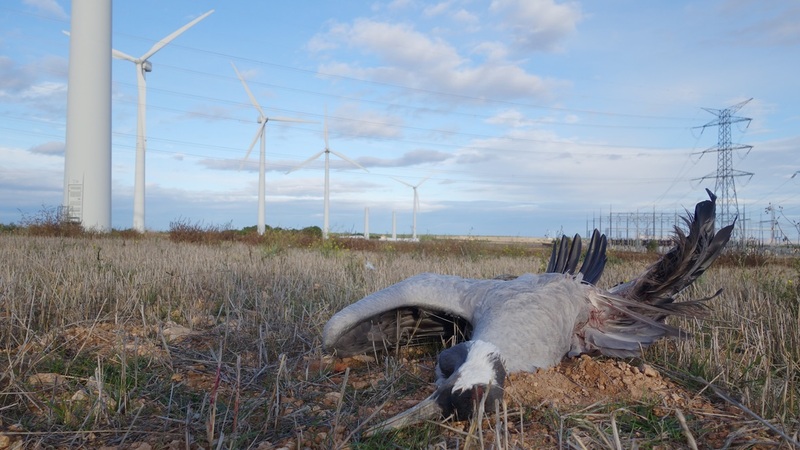 . . a few other figures relating to wind turbine impact is incomplete (tip dB (A) and amplitude modulation) may not only humans but also birds suffer from such phenomena/disturbances. Thank you for posting this research, it has confirmed my own preliminary research and the real reasons why turbine energy is being pushed while solar power is being quashed. The mortality of other species is our fault and our responsibility. It’s bad enough that humans (in all countries!) are willing to injure or kill other humans to get something they wanted, and even MORE willing to kill other species as “collateral damage for the (supposed) greater good” of humans. This is just unacceptable. Moreover, we know that many “societies” still endorse the unscientific, flawed and completely culturally-derived excuses for allowing “hunting” (thrill-killing for a fee) on public and private lands even though there is NO bona fide to allow it since, if humans allowed native-evolved predatory species to do their job instead of persecuting and eliminating them, populations of prey species would be more balanced. And so it is here, with this issue of energy, that politics, money, and social contrivance takes primacy over actual science and especially ethics by allowing a “technology” which is an eyesore, produced harmful infrasonic noise pollution, and decimates air-borne species. This is stupid, really stupid. Does the author not understand the cost of other sources of electricity generation on nature? An excellent post, thank you. In Maine the wind developers told us that there were no migratory birds flying along the western mountain range (Longfellow Mountains) and yet we saw them every spring and fall. The “mortality studies” paid for by the wind industry are a complete scam. rom day one of the intro of wind turbines, I wrote to all of the wildlife organ. to ask about the death of al of the birds. That was like 10 years ago. Never did I get a reply.